Together with a group scientists, designers, engineers, and artists from MIT, we found an art collective called HOTMILKS Foundation. 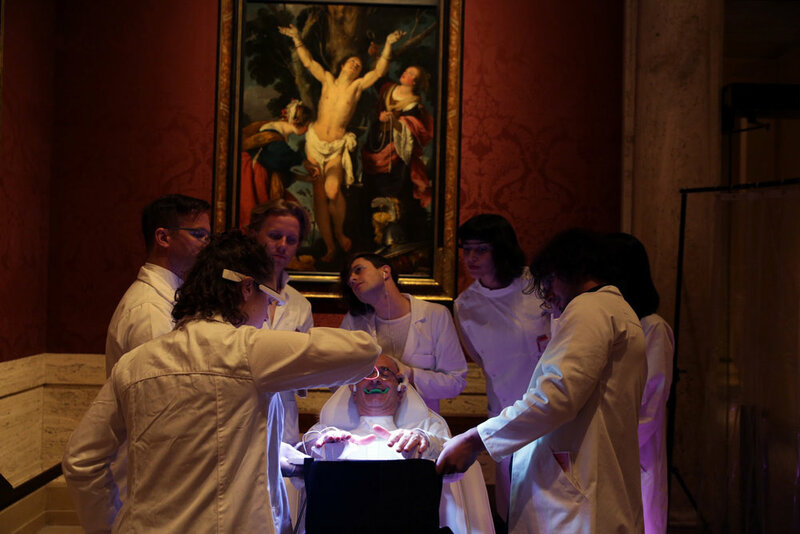 The collective organized a series of participatory performances in Museum of Fine Art in Boston in 2016. 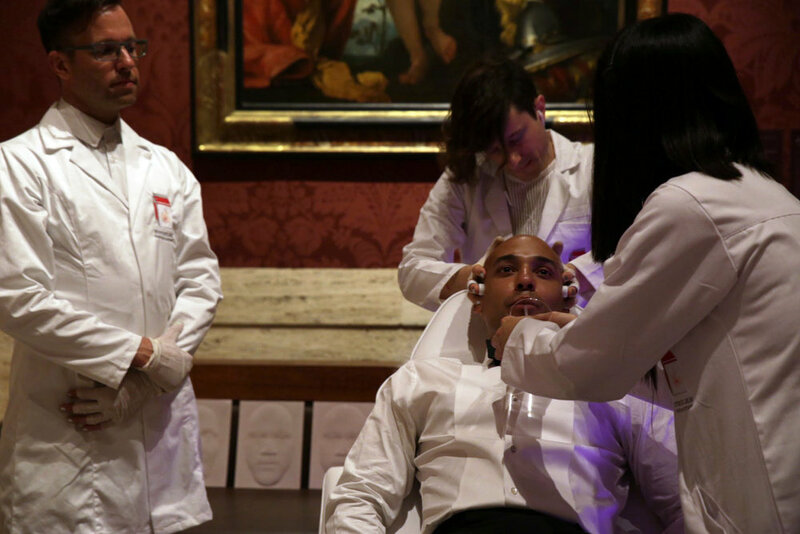 In our recent commissioned piece from the museum, Happiness Spa, we skipped the unpredictability of the aesthetics and cultures and instead induced some joy directly to the participants with emotional induction techniques learned from science. We were invited to perform the piece in their VIP pre-party of the museum’s Summer Party, the annual black tie gala held in the MFA’s elegantly transformed Shapiro Family Courtyard. The VIP ticket is $450 and it includes a dinner reception, live auction, and the performance from us. The event is meant to be entertaining, haut and of course, arty. Our manifesto handouts during the performance. Adam Horowitz, Rainar Aasrand, Gershon Dublon, Akito Von Troyer, Ani Liu, Sands Fish and Rébecca Kleinberger.